Welcome to Ascension Greek Orthodox Church of Fairview, New Jersey that had held its first liturgy on November 27, 1952. 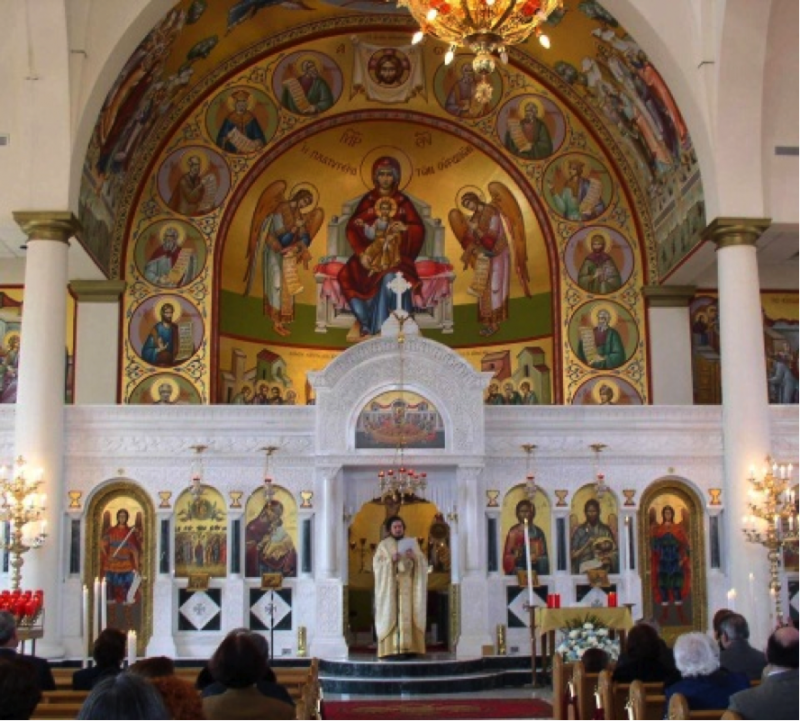 Our parish is part of the Greek Orthodox Archdiocese of America, and the Metropolis of New Jersey under the spiritual guidance of His Eminence Metropolitan Evangelos, which is under the spiritual and administrative jurisdiction of the Ecumenical Patriarchate of Constantinople. The primary facet of our Ascension Greek Orthodox Church is spiritual by serving as the sacramental home for Orthodox Christians. We invite all who wish to draw near to God through the Body of Christ and the holy Orthodox Church. Orthodox Christianity is the ancient church of the New Testament and is unchanged since its origin. We invite everyone to come and see the beauty of Orthodox worship and to participate in the life of Christ. We wish to praise the good of God who extends His grace and mercy to all of us, especially the community of the Ascension Greek Orthodox Church which continues to live by the message of the Greek Orthodox faith for over 60 years. We thank our founding fathers over the past six decades, as well as the present members of all organizations for their commitment and love for our cherished community of the Ascension. We pray that God bestows health and goodness both here on earth and especially in the kingdom of heaven. Please explore our website for information about our orthodox Christian faith, the celebration of services and the ministries of our parish. Through the prayers of the Holy Fathers and of all the saints, Lord Jesus Christ our God, have mercy on us and save us!